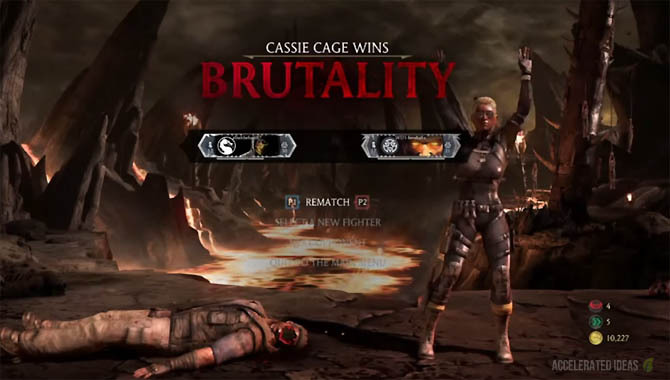 Brutalities are mini-finishing moves that players can start towards the end of the final round. 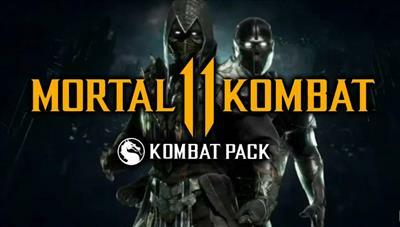 They're slightly different in Mortal Kombat X compared to other games in the series but all Brutalities stem from one of the players special moves - which extend it into a more deadly version that kills off the opponent in a brutal fashion. There are over a hundred Brutalities in MKX, which when split between all fighters accounts for 5-6 per character. Some characters can also use their X-Ray move to trigger a Brutality, which of course is shared across all the characters variations. When you first start MKX all of the Brutalities are locked so you need to either find and buy them in the Krypt, or pull off a Brutality during a match. The result in both cases is that the Brutality is added to the characters move list, which can be viewed from the pause menu. You can find a list of all the Brutality locations in our Krypt items guide. Alternatively, scrolls down to the Examples section on this page for some examples of Brutalities in MKX, or view each of the characters on our site for a full list. Every Brutality in the game has a number of prerequisites that must be satisfied before the move can be pulled off. In some cases, the opposing player simply has to be on very low health and then you can start a special move. If the other players health is low enough then it triggers an extended, Brutal version of the move. Other Brutalities have a complex set of requirements. One such example is Raidens Super Shocker Brutality which requires the player to start the Electrocute move and quickly press back punch three times, with the final blow being the Electrocute move. In addition to a set of Brutalities unique to each character there's also hidden/secret stage Brutalities that are triggered when the player interacts with objects. One such example is the Outworld Marketplace stage where the player can throw the old lady (Blanche) at the opponent. If the old lady is thrown when the other player is on low health it triggers the Brutality version which causes the opponent to explode. Another good example is on the Dead Woods stage. The player can throw a branch which impails the opponent causing a painful death to say the least. 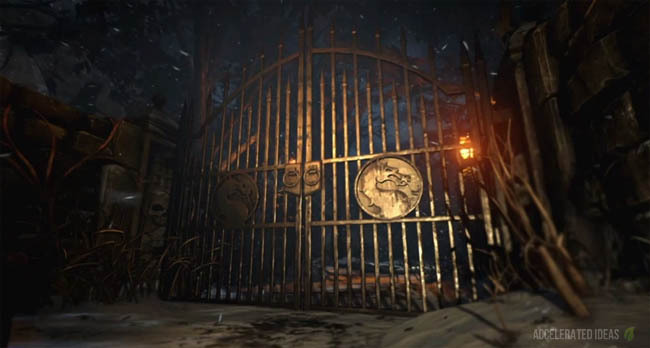 Unlocking a hidden stage Brutality will reward you with 20,000 Koins to spend in the Krypt so its worth attempting one of these early in the game to gain the achievement and extra money.